We predicted pleated skirts would become a major trend this spring, but we didn't realise how quickly they would become a cult buy. But that's the thing about cult buys; they just come out of nowhere, and the next thing you know, you want in on the fun. This is exactly what happened in our office this morning when we somehow started chatting about wanting a pleated skirt this season. This same conversation happened last year, but with the word "slip" instead of "pleated." Now, pleated skirts are on each of our spring shopping lists, as it's the perfect item for this fickle weather. From the printed midis at & Other Stories to the Brittany Bathgate's amazing find from Arket, keep scrolling to see how people are styling pleated skirts for 2019 and which ones are the best to buy now. Style Notes: Karina pairs her checked pleated midi skirt with a beige blazer, boots and a pearl clip. Style Notes: Just like she did with her many slip skirts, Monikh seamlessly carries off a Rixo pleated piece with a simple white tee. Style Notes: Julia's pink-and-green outfit makes for a chic colour combination, while her trainers make the look more comfortable. 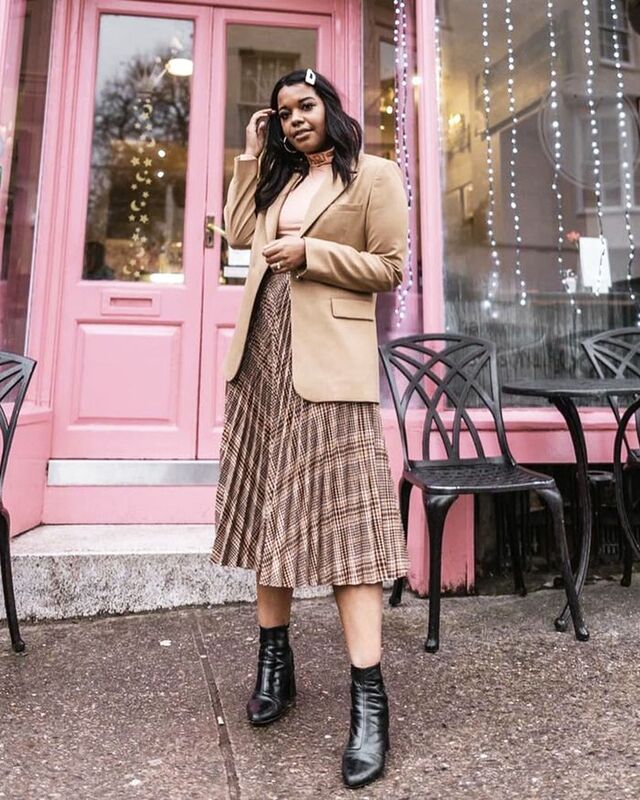 Style Notes: Brittany's pleated skirt is masterfully styled with a utility jacket and simple shoes, which is a fresh spring outfit idea we haven't seen before.